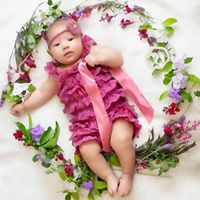 Online baby shop South Africa BABARAZZI for an unrivaled online shopping experience with top baby brands, friendly consistent service and delivery straight to your crib! BABARAZZI (pronounced like “Paparazzi”, but with “B’s”… cute huh!) Truth is, a new baby is SO like a little celebrity born into your world; complete with flashing cameras, enquiring friends and family and super-important milestones worthy of any E-Channel report! We get it and totally want to maximize your personal time with loved ones and life! And so proudly bring you BABARAZZI; the online store that, like you, is totally, completely and 100% GAGA FOR BABA! The baby enthusiast’s online store boasts an unrivaled online experience with all the best quality baby and toddler brands in one place. With a sassy store front and world-class website, safe online shopping with absolutely the best delivery terms. Our motto is to ensure that moms, dads, friends and family can finally enjoy an efficient online store experience. With a top-notch door-to-door delivery service complete with snazzy personalized touches and friendly consistent service! Thank you for visiting BABARAZZI! Happy shopping! Click here.